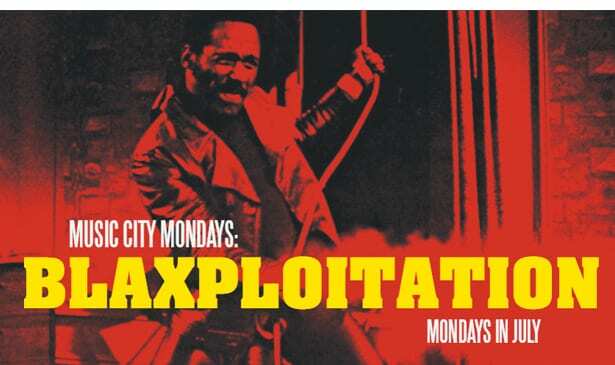 NASHVILLE, TN — Some of the top Black films from the ‘70s, labeled “blaxploitation” movies in some circles, will be coming to Nashville next month as part of the Belcourt Theatre’s Music City Monday series. Five classic productions, plus a special seminar discussing the era’s impact and influence, will be spotlighted throughout July. The series begins July 2 with “Shaft,” a powerhouse chronicle about a Black private detective that starred Richard Roundtree and Moses Gunn, and also had a spectacular score from Isaac Hayes that ultimately won an Oscar. There’s a double play set for July 9. Melvin Van Peebles’ explosive “Sweet Sweetback’s BAADASSS Song” will be screened, and there’s also a panel discussion scheduled. Van Peebles production had a difficult time getting exposure and wound up mostly being shown in small theaters within immediate proximity to Black neighborhoods. The storyline about a Black male prostitute on the run from cops who’s aided by a combination of activists, regular Black citizens and a few Hell’s Angels also didn’t sit well with a few overly image conscious types. Earth, Wind & Fire provided the score for what has since become recognized as an underground classic. That same evening a seminar titled “Rage & Sorrow, Darkness & Empowerment: A Seminar Exploring Blaxploitation Films” will be presented by Dr. Frank Dobson, associate Dean of Students at Vanderbilt University and also the Student Justice and Identity Center. This begins at 7 p.m.
Pam Grier’s star turn in “Coffey,” where she portrayed a revenge-seeking heroine shadowing and eliminating the drug sellers whose trade helped take her sister’s life, is the lineup’s third film and screens July 16. That’s followed by “Black Caesar,” which features Fred Williamson as onetime Harlem idealist turned head of a criminal empire. That role was originally commissioned by Sammy Davis Jr. for a post “Rat Pick” change of pace, but he was replaced by former NFL cornerback Williamson. The film, which also featured James Brown’s first soundtrack, did so well the sequel “Hell Up In Harlem” later followed. The series concludes July 30 with “Superfly,” which some at the time mistakenly thought was a work glamorizing the drug trade and criminals, when in reality it was exactly the opposite. Ron O’Neal was first rate in his lead portrayal, and Curtis Mayfield’s score rivals “Shaft” as the finest of the period. This series is a chance for those who didn’t see these in theaters the first time to catch them now, while others who enjoyed them in their glory days can revisit them. The Belcourt is located at 2102 Belcourt Avenue. Call 615-383-9140 or 615-846-3150 for more information about starting times and admission prices.